(SPP) in various regions of the World. Development of the concept and business plan. different jurisdictions, in different regions of the World. • Negotiation with all project participants. • Development of a model of partnership between project participants. in order to attract investments for the GreenEnergyCoin project. • Team building. Team building. Technical audit of the GreenEnergyCoin project (GEC). • Solar power plant - "South Adriatic-II": 100 MW / h.
• Technical and financial audit of the GreenEnergyCoin project (GEC). Croatia, with a total capacity of 150 MW per hour. power plants (SPP) in Croatia, with a total capacity of 150 MW per hour. • Preparation for pre-sale - PreICO tokens GreenEnergyCoin (GEC). • Marketing program in preparation for presale - PreICO of GreenEnergyCoin (GEC) tokens. of 150 MW per hour. • Start presale - PreICO of GreenEnergyCoin (GEC) tokens. construction of SPP South Adriatic-I, 15 MW / h.
• Continuation of presale - PreICO GreenEnergyCoin (GEC) tokens. • End of PreICO of GreenEnergyCoin (GEC) tokens. in the amount of sixteen (16) million EUR. 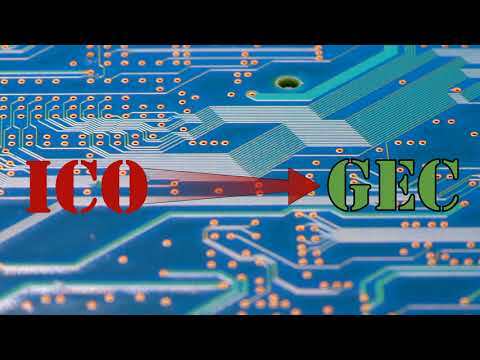 • Start preparation of sales organization - ICO tokens GreenEnergyCoin (GEC). "South Adriatic-I", 15 MW / h.
(SPP ): South Adriatic-I, 15 MW / h, under the GreenEnergyCoin project (GEC). the energy system of Croatia. • Preparation of sales organization - ICO tokens GreenEnergyCoin (GEC). Adriatic-I", 15 MW / h.
• Listing of GreenEnergyCoin (GEC) tokens on cryptocurrancy exchanges. • Start of public sale - ICO of GreenEnergyCoin (GEC) tokens. Adriatica-I SPP , 35 MWh. MW / h, in the framework of the GreenEnergyCoin project (GEC). • Start of operation "South Adriatic-I", 15 MW / h, in test mode. Adriatic-II", 100 MW / h and "North Adriatic-I", 12 MW / h.
Adriatic-I", 35 MW / h to the energy networks of Croatia. Adriatic-I", 35 MW / h, in test mode. 35 MW / h with their reaching the designed capacity. areunder full operation with using full production capacity. • End of public sale of GreenEnergyCoin (GEC) tokens - ICO. • Listing of GreenEnergyCoin (GEC) tokens on crypto currency exchanges.